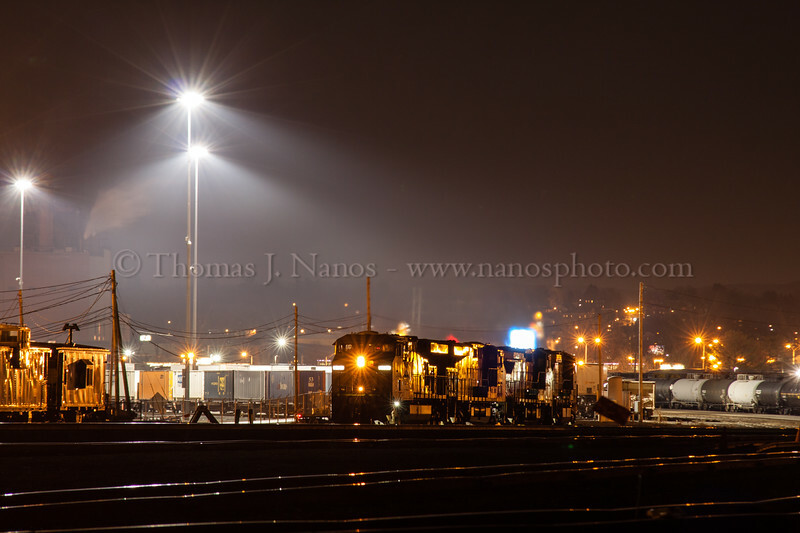 With diesel exhaust hanging in the cold, West Springfield, MA air, CSX train L-017 pauses while working the yard before continuing west. 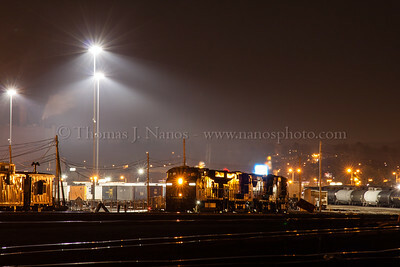 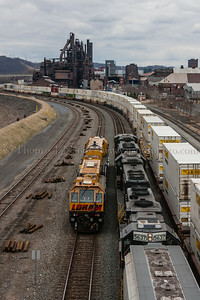 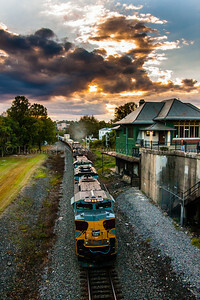 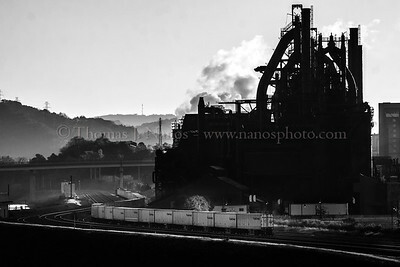 An eastbound Norfolk Southern freight passes by a Loram railgrinder waiting to head to Allentown yard to turn and head west to Emmaus. 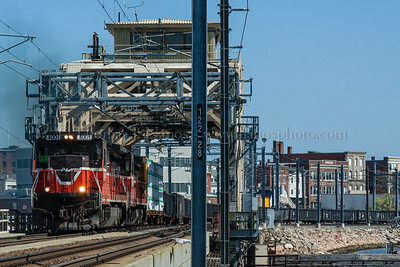 Providence & Worcester train NR-2 pulls across Amtrak's Shaw's Cove swing bridge in New London, CT with 30 cars in tow. 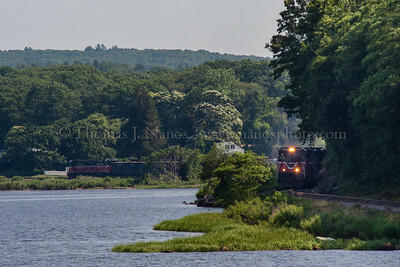 Providence & Worcester train NR-2 snakes its way along the Thames River. 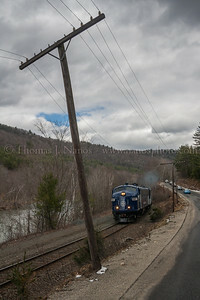 The head end of the train is in Ledyard, while the tail end is still to the north of Poquetanuck Cove in Preston. 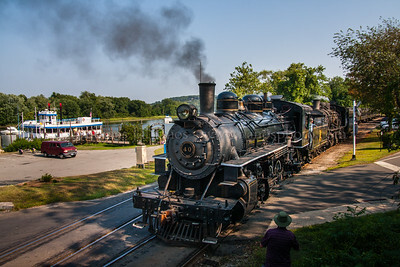 Valley Railroad Mikados 40 and 3025 team up for two runs today. 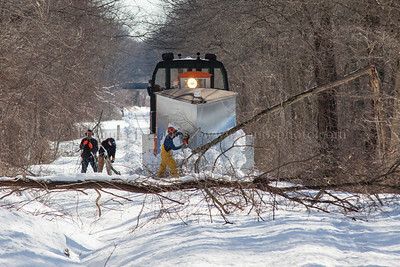 Seen here finishing up the 3:30PM train, the pair runs around the train perparing to head back to Essex. 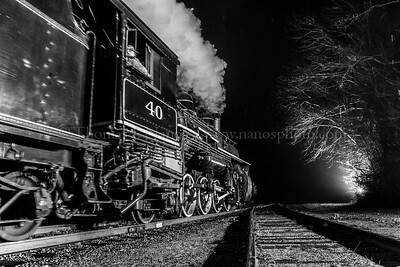 No 40 had just completed some repairs, and was undergoing testing before being put back into full service. 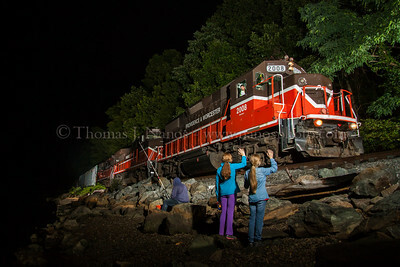 Visible on the left is the Becky Thatcher, the riverboat portion of the "Essex Steam Train and Riverboat"
Valley Railroad veteran Mikado No 40 heads north through Chester, Connecticut with a trainload of passengers visiting with Santa and his elves on the wildly popular North Pole Express. 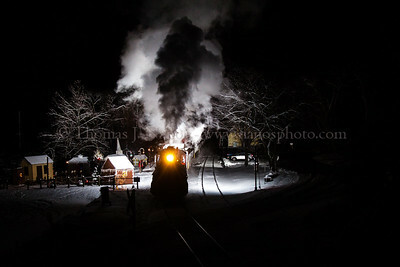 Valley Railroad North Pole Express train NPE-2 pulls into the North Pole on a cold winter night.